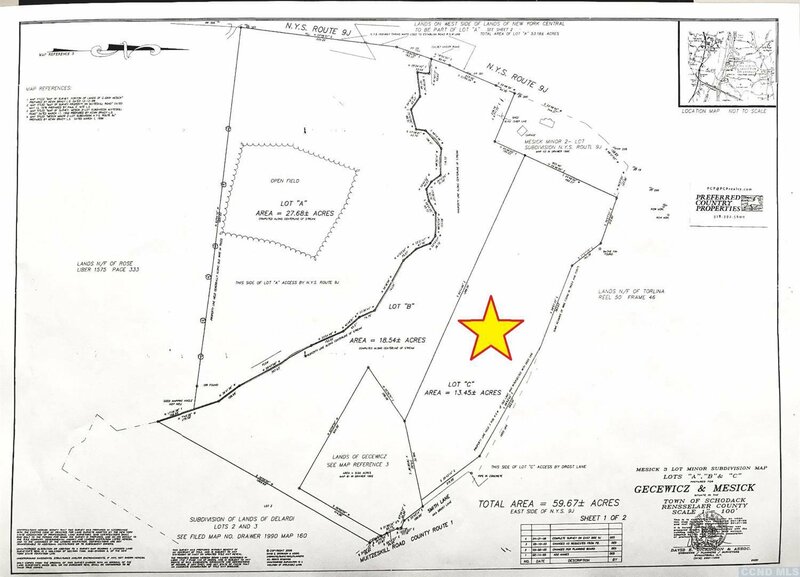 13.5 surveyed acres in pretty Schodack Landing. Meadow with 20% mature woods on a dead-end lane. About 20 minutes to Albany. Quiet, sunny location abutting a pretty horse property. Easy access to county road. Current assessment shy of $125,000. Seller motivated. Listing courtesy of Preferred Country Properties. Selling Office: .